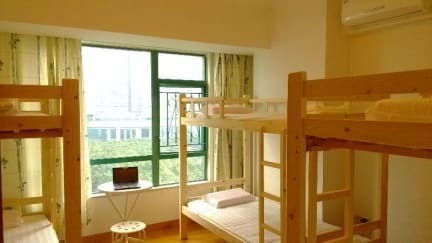 Homy hostel is a 3-5 minutes walking distance from the Guangzhou East Railway station，we are a small but lovely hostel, where you will find a more personal and comfortable experience. We have 3 Dorm rooms, a plush common room with downtown views, homy hostel was created by a backpacker, and the facilities have been set up with the backpacking experience in mind. we have personal electrical outlets and lamp in each dorm, having your beds ready-made for you, guided tours by locals, Everything is ready and waiting! No service after 21:00,pls do not take the reservation after 21:00 !